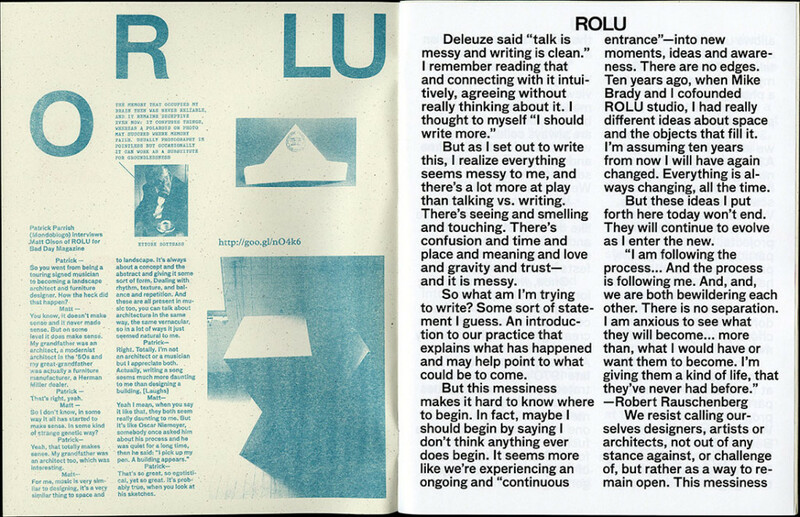 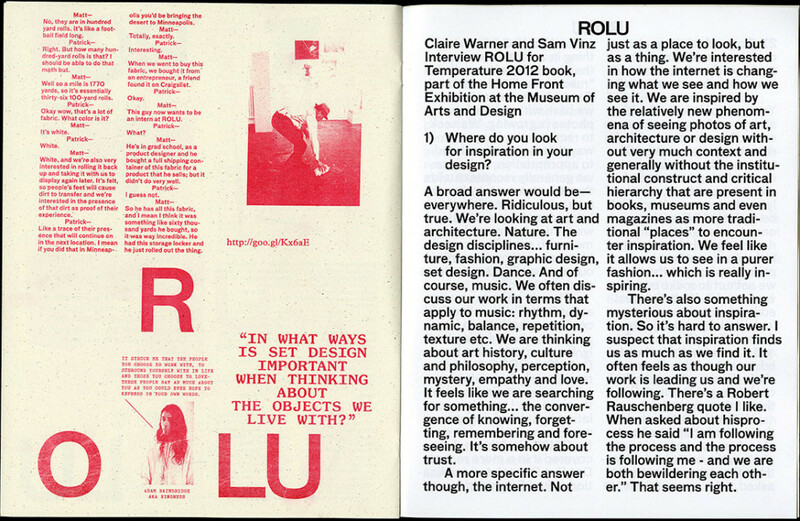 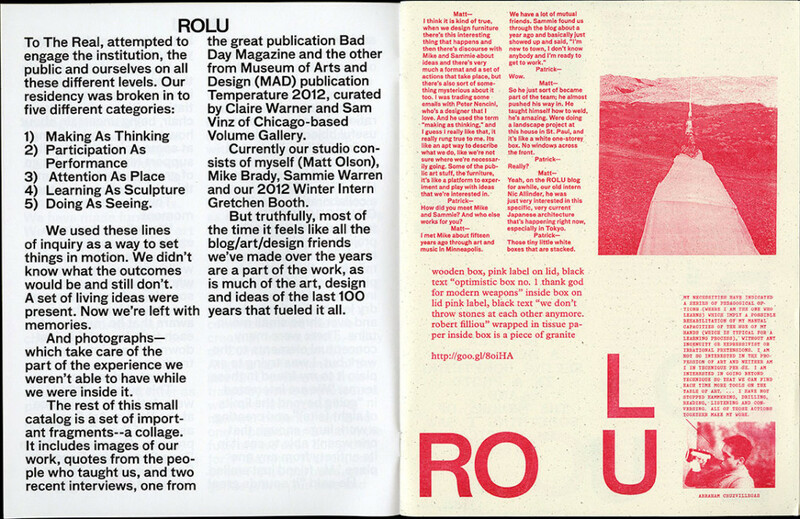 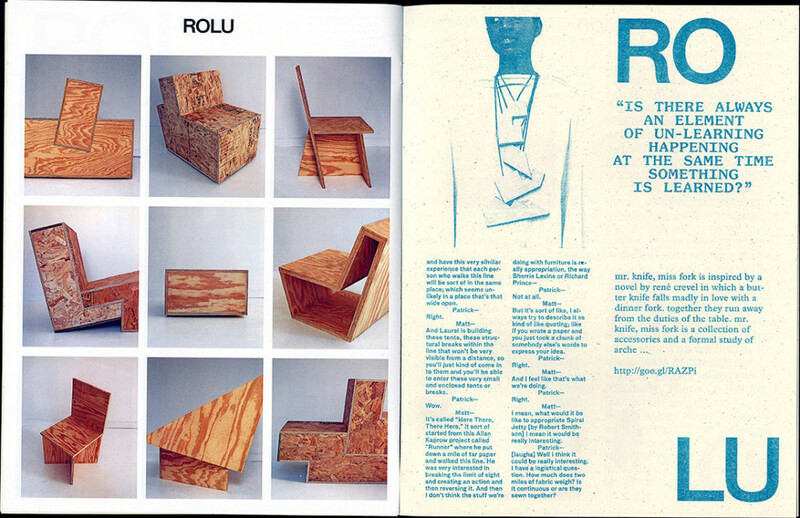 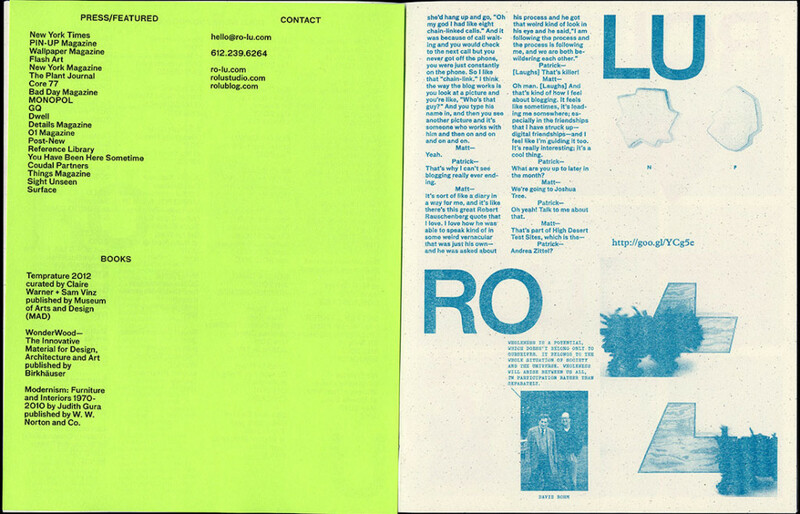 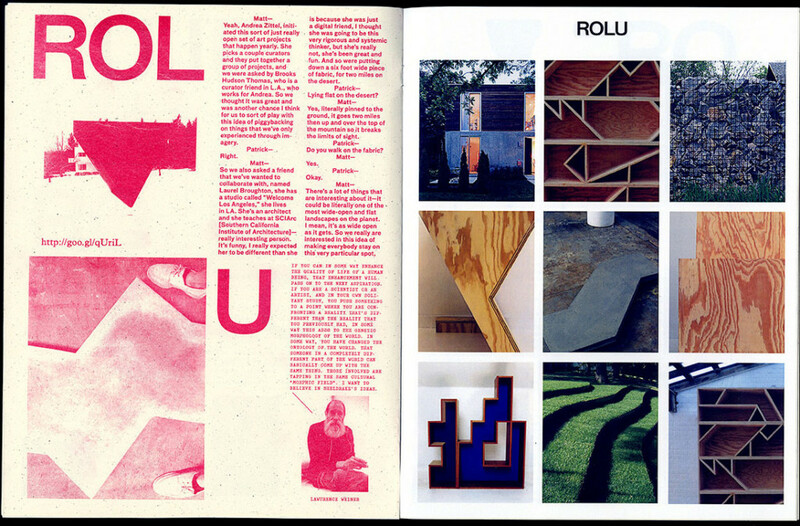 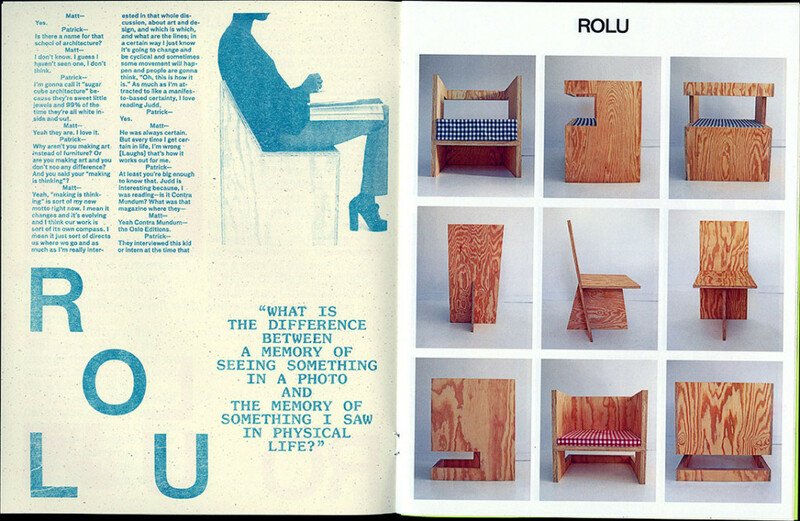 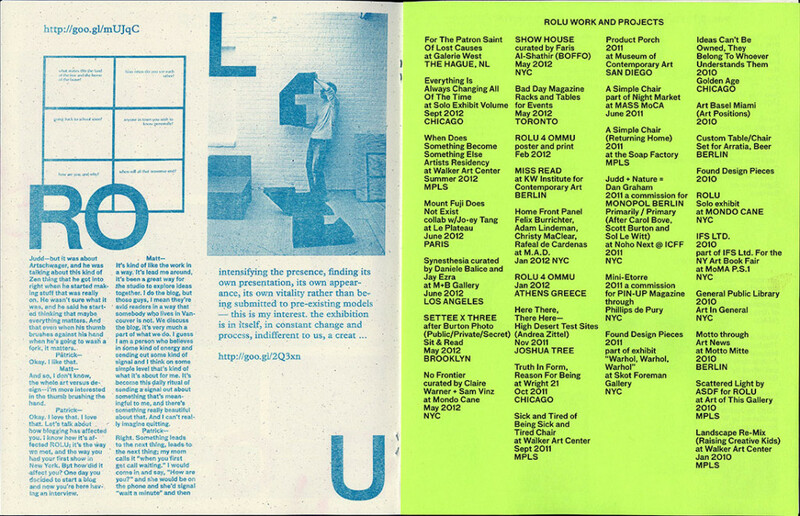 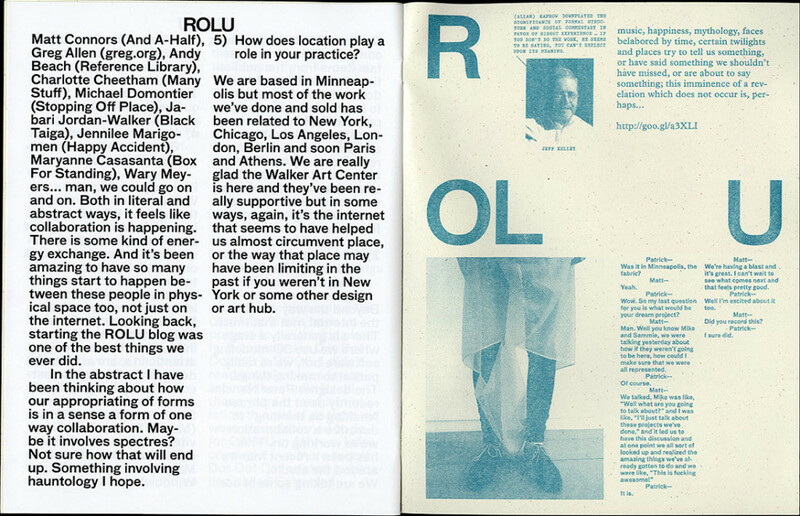 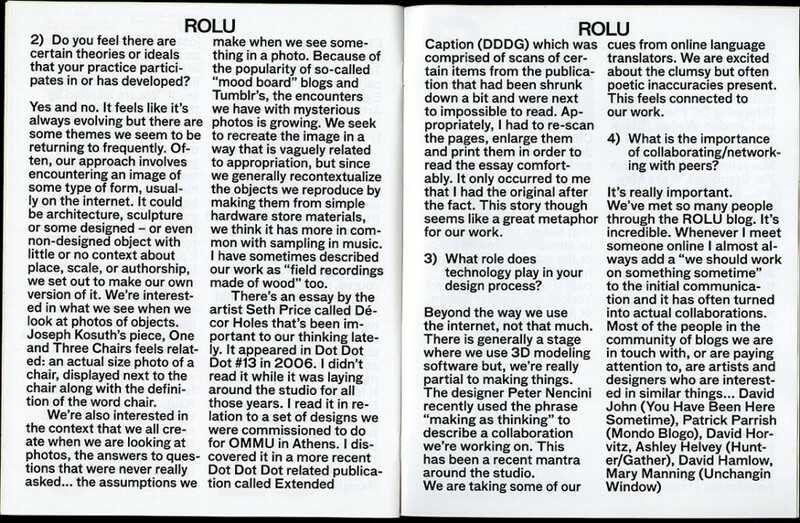 ROLU READER is a booklet about ROLU, a landscape design and conceptual art practice in St. Paul, Minnesota. 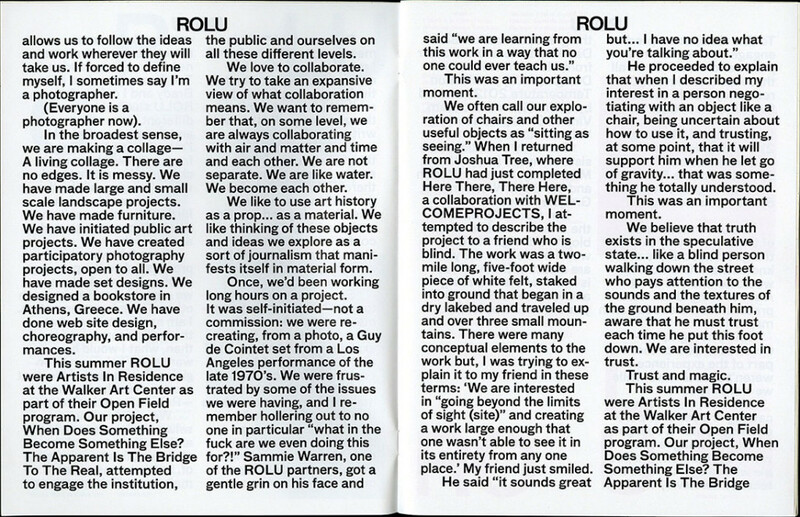 Run by Matt Olson, Mike Brady, and Sammie Warren, ROLU blended interests ranging from contemporary sculpture and actions to the thinking and aesthetics of spirituality. 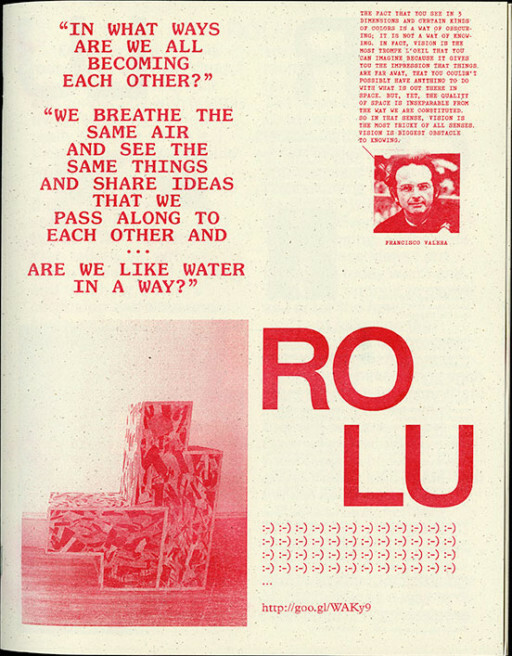 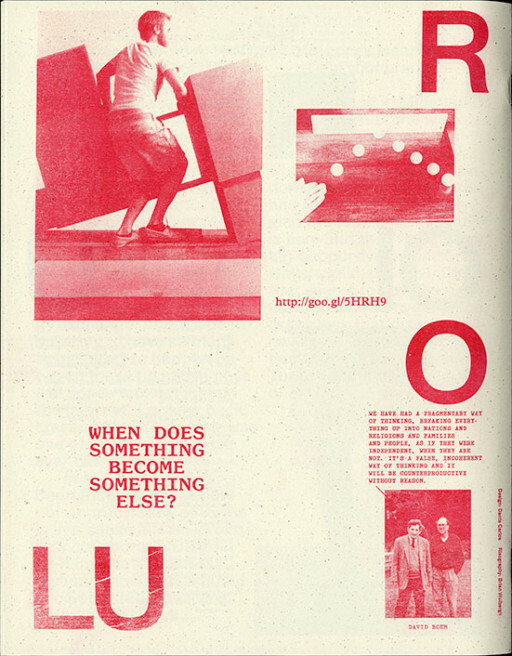 Similarly, the publication mixes a series of different texts, combining philosophical questions, interviews, personal writings, and excerpts from blog entries, demonstrating the frantic interactions between seemingly disparate subjects. 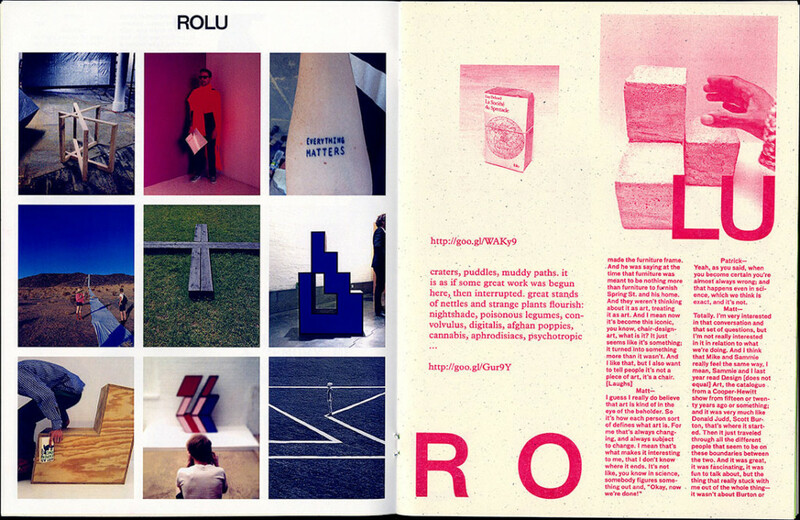 Produced on the occasion of 2012 ArtBasel Miami/DesignMiami.